I think it's time to jump back into the game with this Nightstand business. I've been absent when it comes to participating in these meme for the past few months as we were concluding the adoption of, and adjusting to, Bookworm5. It's been a hectic few months around here and the reading has been most sporadic -- but it has still happened! I just haven't written about it. I have to say it's nice to feel life settling down just a wee bit, enough to make a few reading notes and plans again. I'll keep my reading goals simple for the next month. 1. Chiefly, I'm reading through some Narnia books with my kids for the Chronicles of Narnia Reading Challenge which is hosted here at Reading to Know every July. This will be the SEVENTH year for this challenge and regardless of who else participates, I am always grateful for the excuse it offers me and mine to travel back into one of my all-time favorite worlds. 2. Secondly, I'm in the middle of reading Paper: Paging Through History. Doing a bit of research. The book may sound dry but it isn't . . . thankfully. 3. 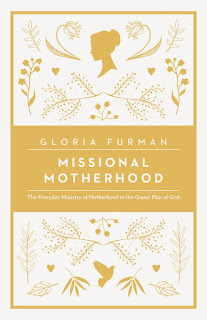 I am also halfway through the book Missional Motherhood, by Gloria Furman. 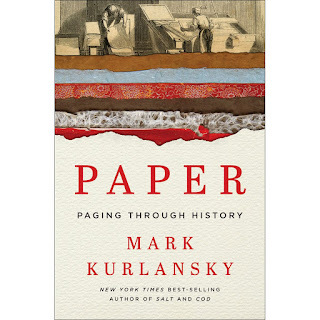 My opinion on this read hasn't been firmed up, but I can tell you that I purchased two additional copies to give to certain friends of mine that I thought would really connect with it. That's something of a vote of confidence at any rate! I like it thus far. 4. I will be reading Seventeen, by Booth Tarkington both for pleasure and fun and also because it's my in-town book club's read for the month of July. It sounds terrific! I'm looking forward to it. As always, appreciate the nudge from the gals at 5 Minutes for Books to think through my reading plans and make some decisions. 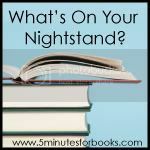 Looking forward to seeing what's on everyone else's nightstands for this coming month as well. I've heard of Tarkington but am pretty sure I've never read anything by him so far. I need to give some thought to the Narnia challenge. I knew it was coming up but forgot to incorporate it into the WOYN meme. Looks like a cool set of books you're reading. I'm looking forward to the Narnia challenge! Ahhhh....the Chronicles of Narnia. I remember when you first started hosting this reading during July, I started reading the books to and with my then almost 10 year old (she'll be 17 this year!). High time I read The Lion The Witch and The Wardrobe with my current 10 year old. The Missional Mother sounds interesting.